This post is a response to a recent Facebook post calling for a constructive discussion about gun violence. But, to have a constructive discussion requires not only respect, but truth. 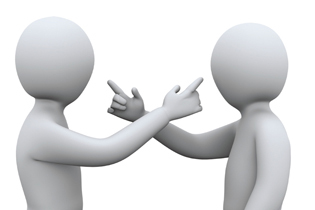 The first principle of constructive discourse is this: first, agree on the facts and only then make your arguments. In that regard, you may first want to read what I believe is a welcome correction to statements about gun studies circulating throughout the internet. So here’s a question (and I’m hoping for an honest, gracious conversation, rude comments will be deleted): The argument against higher levels of gun control is oftentimes based on the following “slippery slope” premise: If we put restrictions on 2nd amendment rights we’re opening the door for restrictions on all other constitutional rights in the future. But isn’t weapons escalation a slippery slope as well? If we arm teachers with guns, bad guys will start wearing Kevlar, or start making homemade explosives to cause damage from a distance, or take up sniper positions rather than entering schools, or…. escalation. Dr. King & Mahatma Gandhi taught us long ago that violence begets violence. Do we have to relearn that lesson at the expense of our children? How can a person hold a position that seeks to protect from the “slippery slope” on one hand, but contribute to it on the other? For me, I can’t think of any reason folks on any end of the political spectrum would believe arming teachers will deter would-be school shooters. In the end, it will make shooters more equipped & more dangerous. So what? The slippery slope argument, tho’ often thought of as a logical fallacy, is historically valid. For example, the original supreme court ruling allowing abortion was highly restricted – life of the mother, only during the first 20 weeks, etc. Since that ruling, abortion is now on-demand and can legally occur up to, and the moment of, parturition. Your argument correctly imagines a slippery slope, and in this case numerous examples exists illustrating the truth of this logic. One of the best examples is that of abortion. The precedent established by Roe V. Wade was the camel’s nose under the tent – another name for the slippery slope. This precedent has been used by the courts to slip us down the slope to where abortions are legal up to, and during, parturition. rather than entering schools, or…. escalation. There are two problems with this argument. The first problem, and the most obvious one, is that Kevlar also protects. Note that Kevlar vests were used in Parkland to protect students under attack. Like guns, Kevlar can be used for good or evil. Prior to guarding airports, the weapon of choice used to hijack airplanes was the pistol. Hijackings are relatively rare today precisely because guns are largely illegal on airplanes, easily detected, and GUARDS SCREEN FOR THEM. The conclusion you should draw is this: people who advocate for schools as GUN FREE ZONES, but who refuse to establish mechanisms to prevent guns from coming on campus are advocating evil – whether intentional or not. And not just because children may die. It’s doubly so because a gun-free zone in the absence of enforcement imposes a false sense of security on civil society. Frankly, gun free zones without enforcement mechanisms are akin to lying to the public. Guarding schools like we guard airports, for example, has an interesting logic. The use of explosives (and other violent means) are very much illegal. Moreover, there are no consitutional (or other) rights to carry, own, or use explosives. With this in mind, the logic is inescapable. If we guard schools (or make schools gun-free zones – like court houses and airports using universal screening – then the only weapons available to terrorists will be ILLEGAL weapons like explosives. But as we all know (sarcasm alert) terrorists would not use explosives because, unlike guns, explosives are illegal. Police stations and military bases are manifestly densely populated by armed personnel. Might the ubiquitous presence of armed people be prophylactic? Civil disobedience is an effective moral response to an immoral condition. Its effectiveness is only effective to the extent that the state against which the disobedience is exercised is based on moral institutions. It’s no accident that MLK and Ghandi exercised their disobedience against countries whose institutions were founded on the Judeo-Christian moral tradition, i.e., America and Great Britain respectively. We’ll have to agree to disagree on some basic premises you make. It won’t work to liken school protection to airports & court houses because such places are protected by professional law enforcement and law enforcement infrastructure in volume large enough to significantly deter threat. If massive infrastructure works (which you do not deny), why is it too burdensome if it will protect future mass school shootings? How much is too much? (a) voluntary carry for teachers who are combat trained professionals (veterans, ex-police officers, etc.,). (b) Schools that authorize teacher carry would institute active shooter protocols. This is not a large undertaking and requires no significant infrastructure apart from regular training of the involved personnel. Indeed, much of this can be outsourced to private security firms (and already is in so-called at-risk school districts – Chicago, Washington D.C., Baltimore, among others). Anecdotal point: here in Montana the the two universities and their satellite schools permit student concealed carry on campus. Moreover, at every football game there are armed guards at every gate and in the stands. This is in addition to the armed students. What does it say about our nation & ability to keep our young safe if they must walk through state of the art metal detectors, explosive sniffing canines, and armed guards every day just to learn algebra? It says that our society values the safety of kids so much that we are willing to spend time and treasure and risk our blood to see that they are kept safe. So, I am far less concerned about “how it looks” or “what it says” than I am about keeping people safe. Nowhere in Dr. King & Gandhi’s writings will you ever find endorsement of violence or weaponry as a means to create change… regardless of whether or not one works in a moral, Judeo-Christian culture (at least if you can find them, show them to me as I’ve never run across them). And I’d to ask a resident of India from the colonial days if they’d ever have called British occupied India Judeo-Christian. I do not believe India has ever had a Judeo-Christian culture. For both Dr. King & Gandhi, non-violent solutions were the only ones to be considered. I never made the claim that King and Ghandi advocated violence. Both men advocated non-violent civil disobedience. In Ghandi’s case, his protests were directed against the British governing authority – an authority grounded in Christian belief whose governing institutions were constrained by ethics base on Judeo-Christian values. British law, at that time, was perfectly consonant with U.S. Law. Ghandi’s protests moreover were NOT directed against the Indian people, customs, or authority. You might find it helpful to conduct the following thought experiment: ask yourself whether King or Ghandi would have survived their non-violent protests had they inveighed against the governments of Hitler, Pol Pot, Stalin, Chavez, Castro, Saddam Hussein, or Mao. King and Ghandi are rightly honored but only because the authorities against which they protested were constrained in by law – law rooted in the Ten Commandments and Christian ethics. You’re comments on “slippery slopes” & their propensity do indeed lead us into turbulent waters (like r v wade as you said) validates my position, I believe. No! Your position is manifestly invalidated. Here’s why. I argue that the slippery slope argument advanced by those who oppose gun control (like myself) is valid – in the same way that partial birth abortion validated the slippery slope argument made against RvW. Put another way, those of us who made the slippery slope argument against RvW have been completely (and tragically) vindicated. Those who would advocate for even more egregious gun control simply have no response to the slippery slope argument except, “It’ll never happen. Trust me“. This entry was posted in Constitution, Gun Control, Second Amendment. Bookmark the permalink.